Sadly our wonderful trip has come to it’s last day but we will be taking it all in along the way and stopping for that odd photo, as we do. We packed up and left the cabin at 10 am. 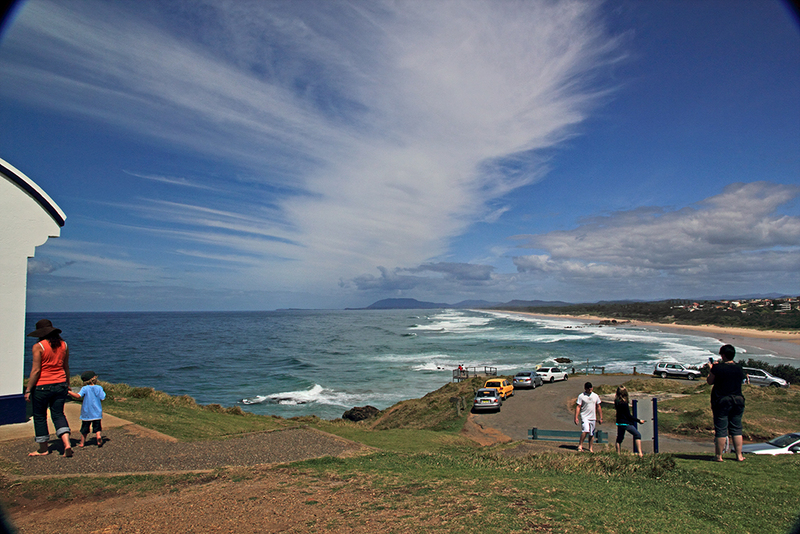 Took our time and lots of stops to see the many wonderful views along this Great Ocean Road. Traffic was very heavy so made stopping a bit difficult at times. This whole area is a photographer dream. The weather was very overcast and grey skies. These images are just a sample of what there is to see, to many to put into this site but will upload more into my Gallery soon. 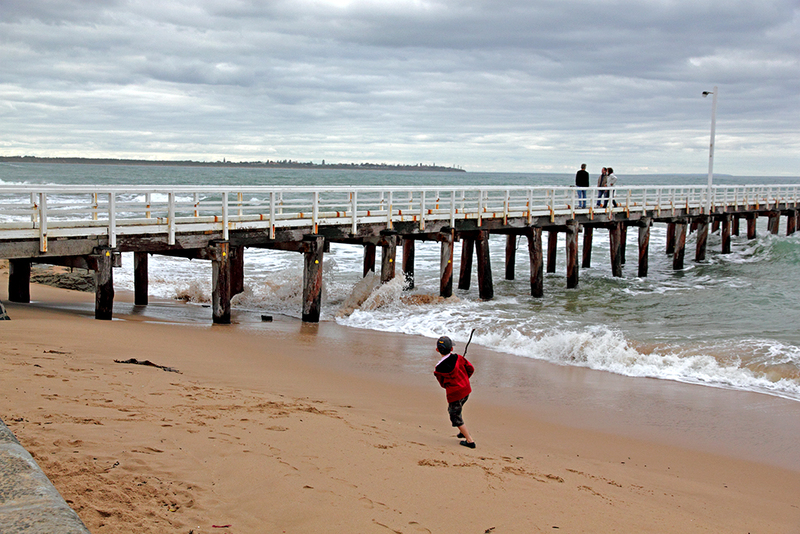 This wee child was playing with the water coming in and out, it was quiet rough, but being a kid, what a lot of fun. 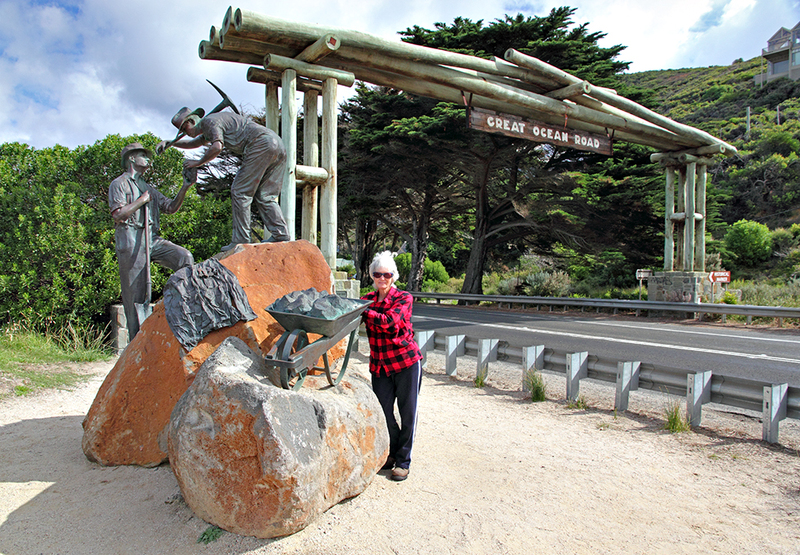 Here is the beginning of the Great Ocean Road, quiet a magnificent entrance to a remarkable drive. 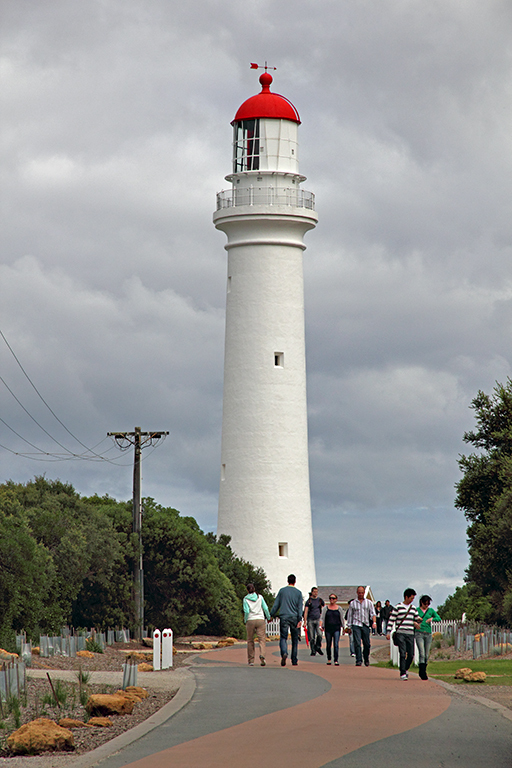 This is the Split Point Light house at Airley’s inlet, along the Great Ocean Road. 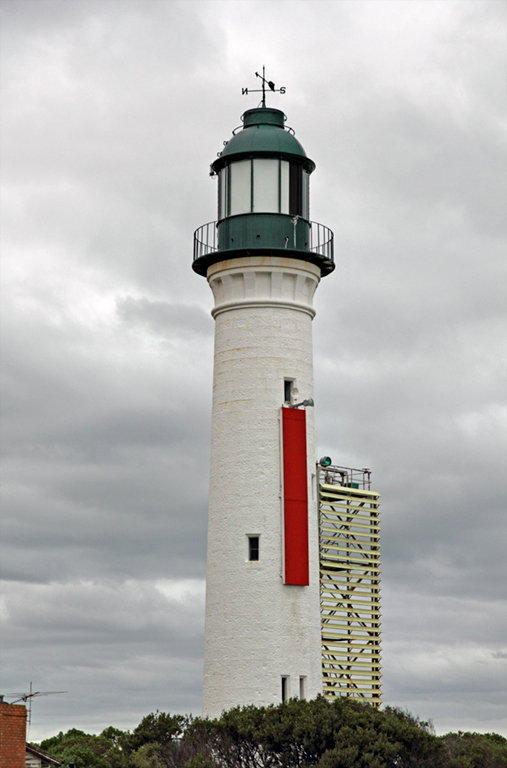 Queenscliff Light house down at Queenscliff on the Peninsula out from Geelong, Victoria. 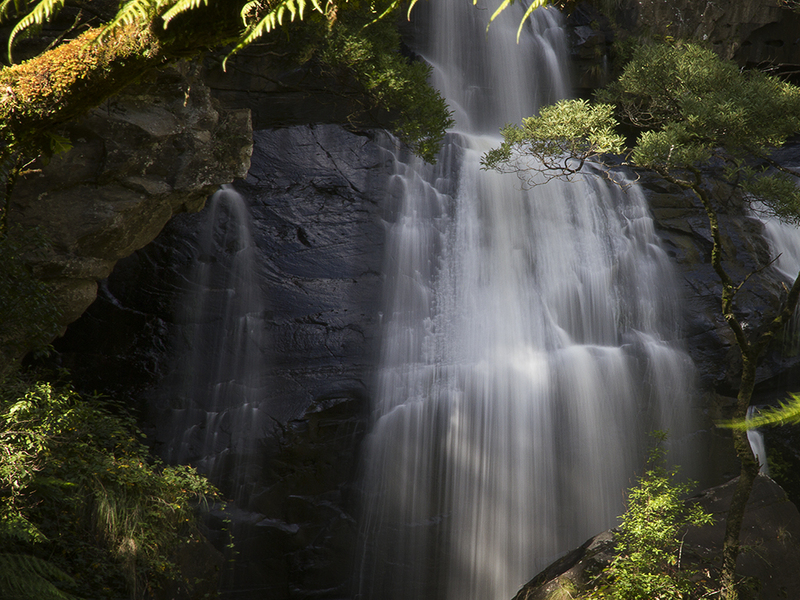 Triplet Falls, Otway National Park. Got all our gear ready last night, up at 6 am, left the cabin at 7.14 am, we had a good run with very little traffic getting up to the Otway Flyer and then it started to pour down with rain. We waited in the car until it eased a bit then headed over to the shelter and changed into our dirty photographer gear, boots and rain coat. Heading down the track, heaps of fungi, lots of steps. The Triplet Falls are magnificent and of course with all this rain we have been getting the reward is the falls are totally flowing. Triplet Falls in full flow. Right side of Triplet falls. These fall are huge and cover quite an area, very hard to get them all in a photo. We headed back up out of the valley and went back to the Flyway and had our lunch. A lot of people at the were there also eating and the shop was very busy. I had pumpkin soup to warm up with herb scone, Kate had a Barramundi, salad and chips, all that walking in the cold and wet has given us a appetite. When we got back to the cabin we got stuck into cleaning the car as we were already cold and wet, I think we were as dirty as the car. Then time for us to have a clean up and warm up, got tea early and relaxed for the evening. 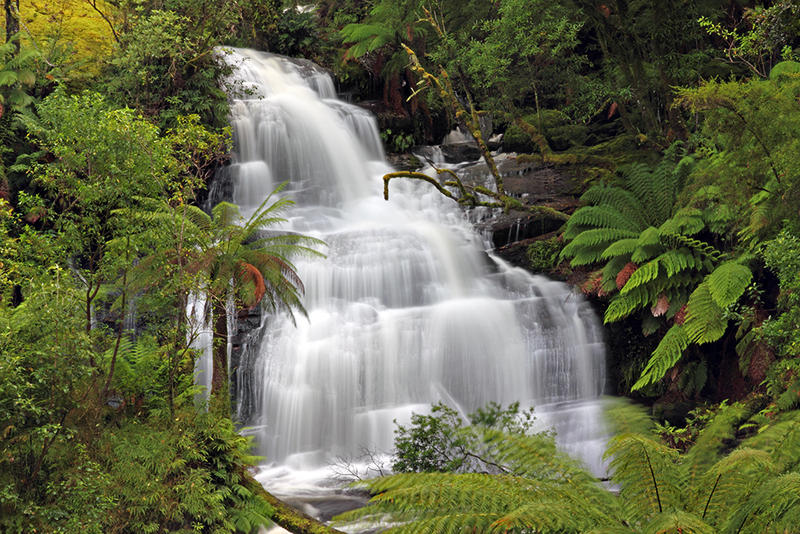 Hopetoun Falls, Otway National Park. We got ourselves ready to head off on another adventure for the day, getting away early as we noticed there was more traffic yesterday and then realized it is Easter coming up. It is fine at the moment but the weather is not looking great up there so we will not look up, got to the reserve and headed off, it is a long way down to the falls and very steep, mostly stairs and we just took our time. 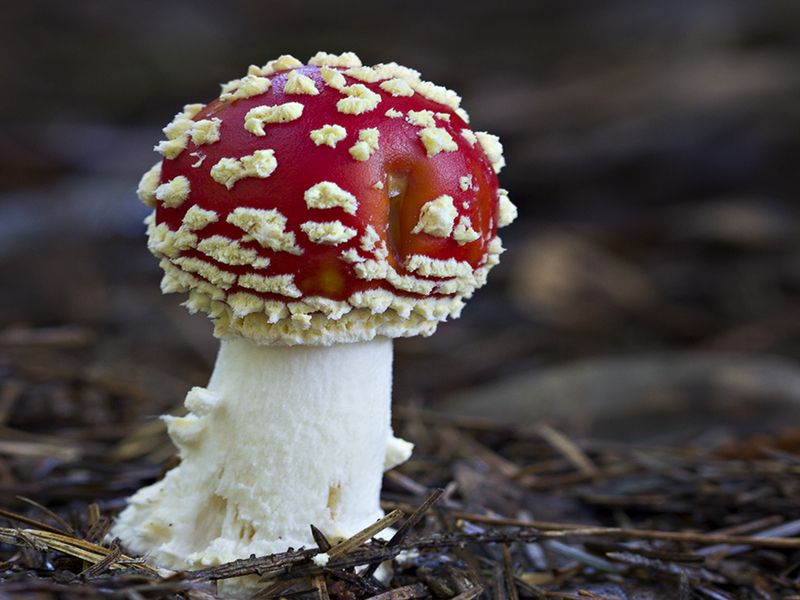 It took us a long time to get down to the falls as there was a lot of lovely different fungi. 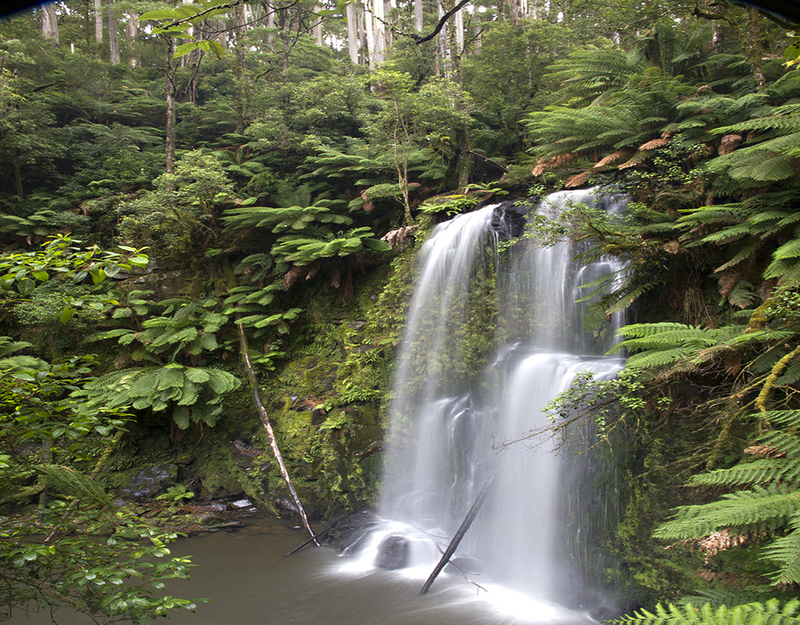 Hopetoun Falls, very majestic nestled in the Beech forest. By now it is pelting down with rain so this photo looks a bit misty in the background. 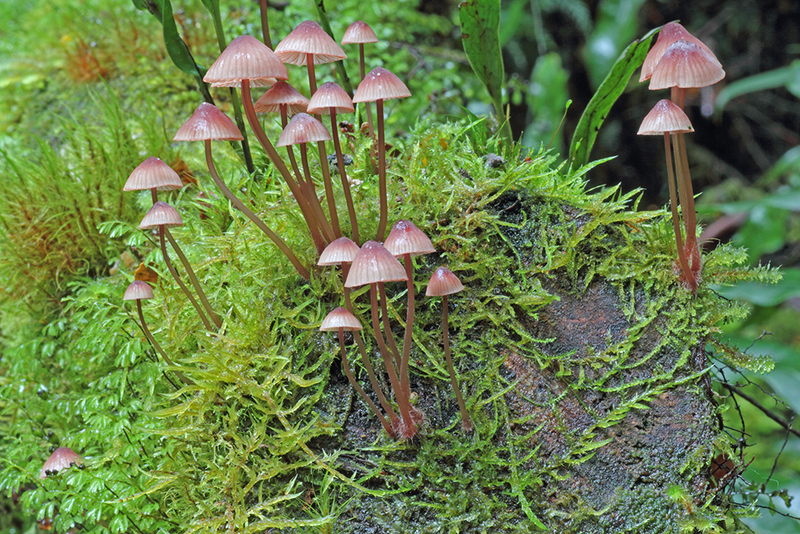 These tiny wee fungi’s are called “Pixie’s Parasol” Latin name is Mycena Interrupta, as I said in my previous posting that my Macro lens had died, I was so frustrated as I have never seen these fungi before, but my dear friend Kate lent me her macro once she had got enough shoots. Thank you Kate. 🙂 I will be back to this place again. Magic. Here is another one I have never seen, going by my research it is called “Nargan’s Bonnet” or the Latin name is Mycens Nargan. Now it is getting to wet so we high tailed it out of there and headed back up to Beauchamp as it is only 10 minutes up the road. 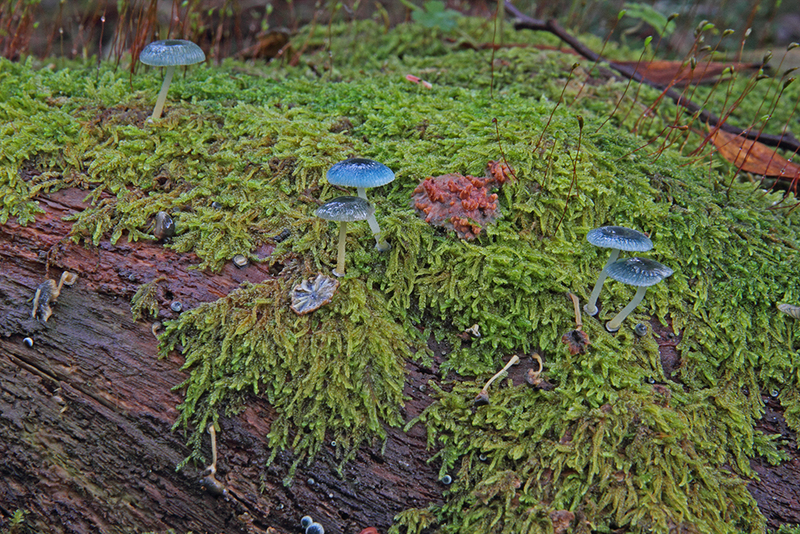 There were more fungi, I think we ended up all fungi-ed out, what a magnificent day. Got all organised and headed off early so as to miss some of the traffic, few more cars on the roads we noticed yesterday and then we twigged, it is Easter coming up. 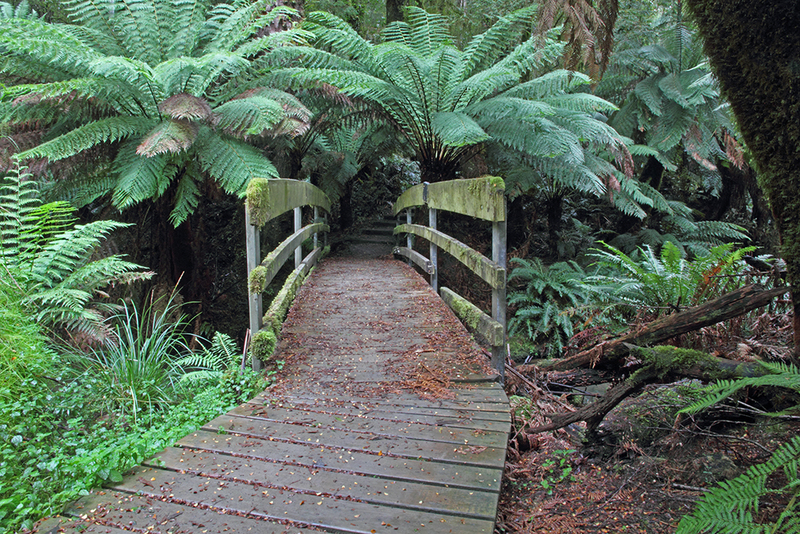 We are heading for Hopetoun Falls in the Otway’s. 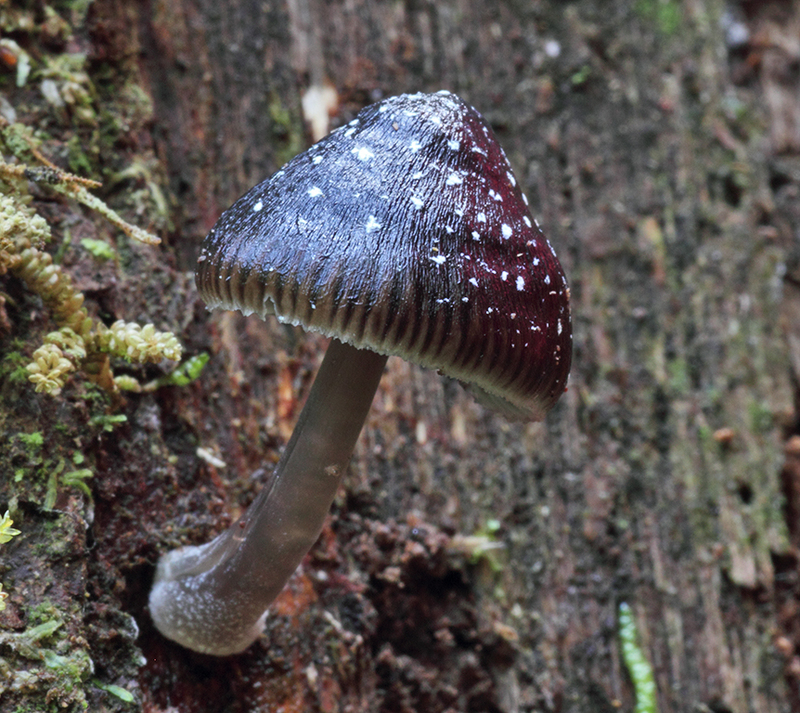 The weather is fine but not looking promising at all so we high tail it and off we go, lots of steps but steep, so we are just pacing ourselves, but so many different wee fungi along the was it took us a long time to get to the falls. 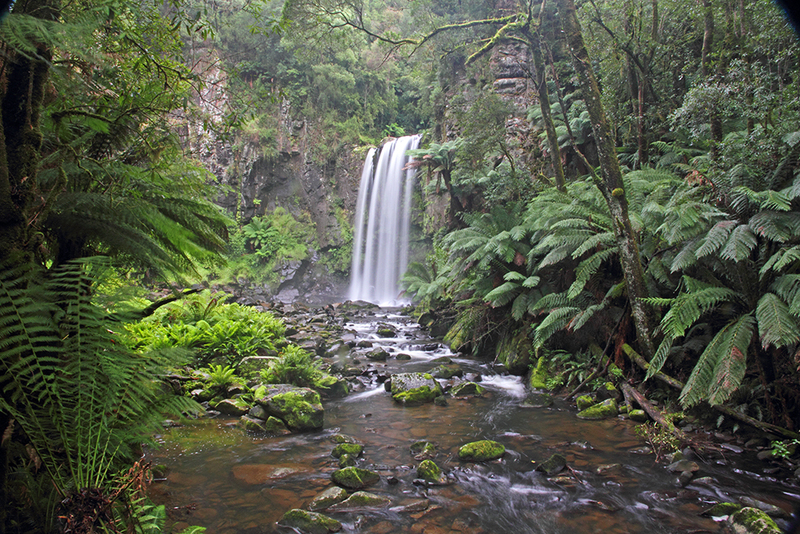 We have arrived and so has the rain, Hopetoun Falls, taking photo’s from under the umbrella, such a beautiful sight and so peaceful, the sounds etc even though is raining would not miss this. 8.15 am, weather looking cloudy and wet but we are heading up to Beauchamp falls, we ended up spending all day. Getting down to the falls was very steep but we just took our time and there was lots of fungi along the way. We had black wheelie bin rubbish bags to lay in the wet on and plastic bags for the camera’s. Really worth the walk down to these falls. 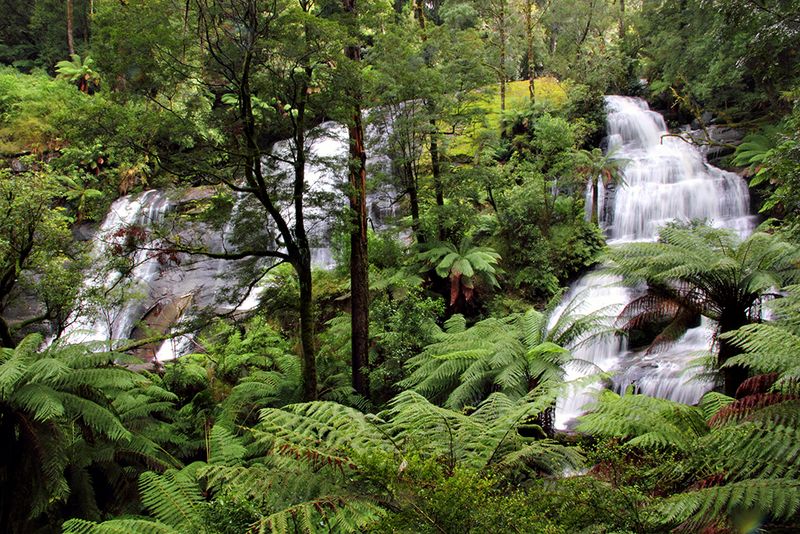 Beauchamp Falls in the Otway’s Victoria. These fungi are so tiny and it was raining, I was doing Macro shooting and all of a sudden my camera say’s error and my macro had a big problem, so I started using one of my other lens and just got in as close as I could, but it’s ok now, after lots of money spent on the macro lens. At the bottom of the hill, the stream and waterfall is just around the corner, it was so beautiful down in this forest. 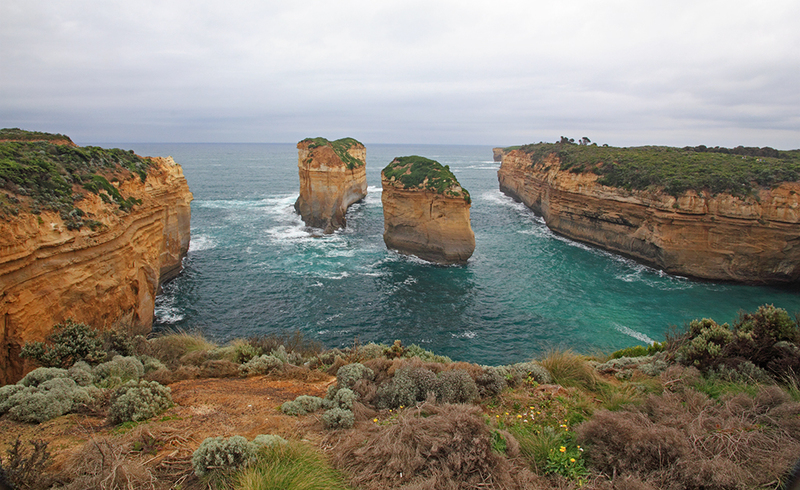 Overcast and drizzly today but to bad we are off the Twelve Apostles, headed off at 8.15 am, we like to get to places before to many people are around as we take photos. What an amazing coast line, the lighting for photography was not good but you do what you can on the day. Went and looked at all the lookouts until it started to get a bit to wet. The last to lookouts we didn’t do. 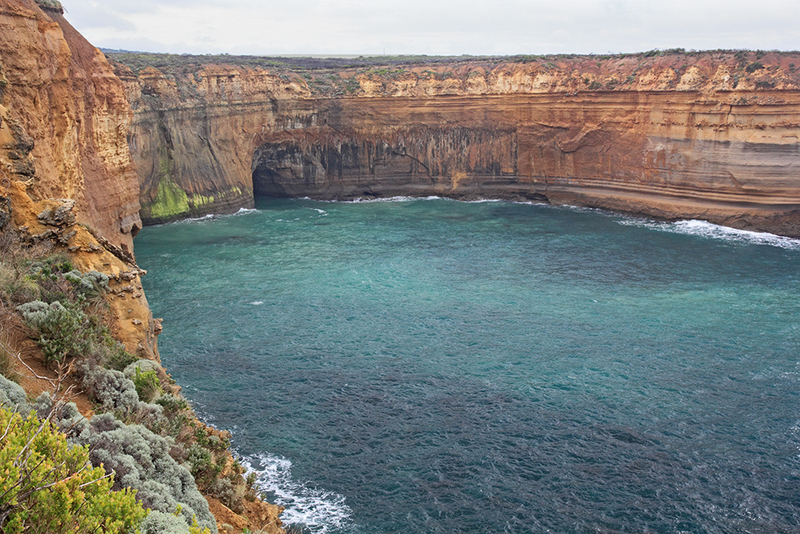 This is such an amazing place, the sheer size of the cliffs, and that narrow opening to the sea, would love to see it in a storm. 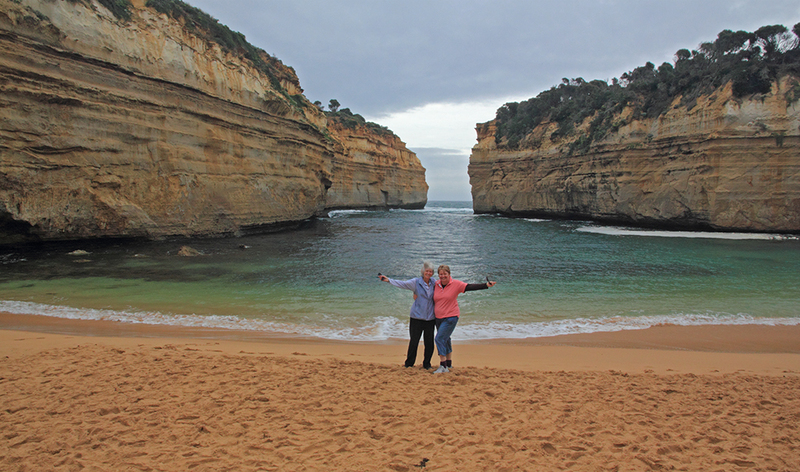 Loch Ard Gorge. 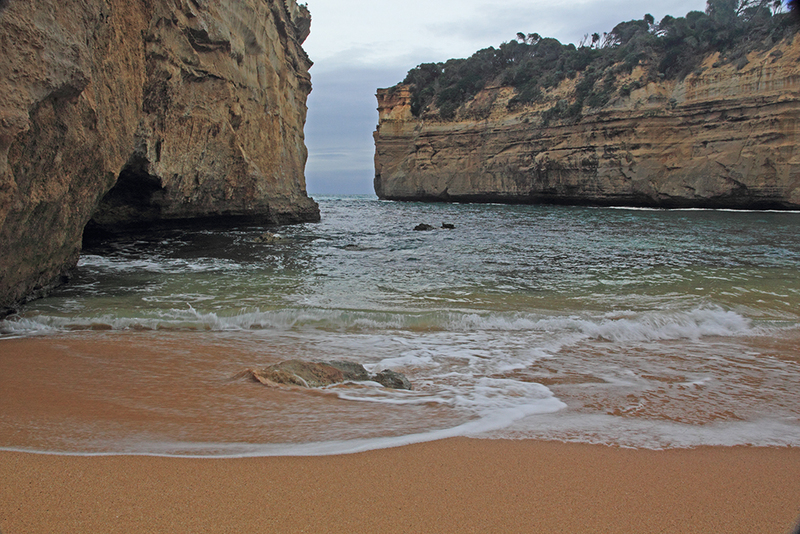 Just another angle of the Loch Ard Gorge. This view was from a lookout, the formations of the sandstone that has been shaped through weather is incredible. 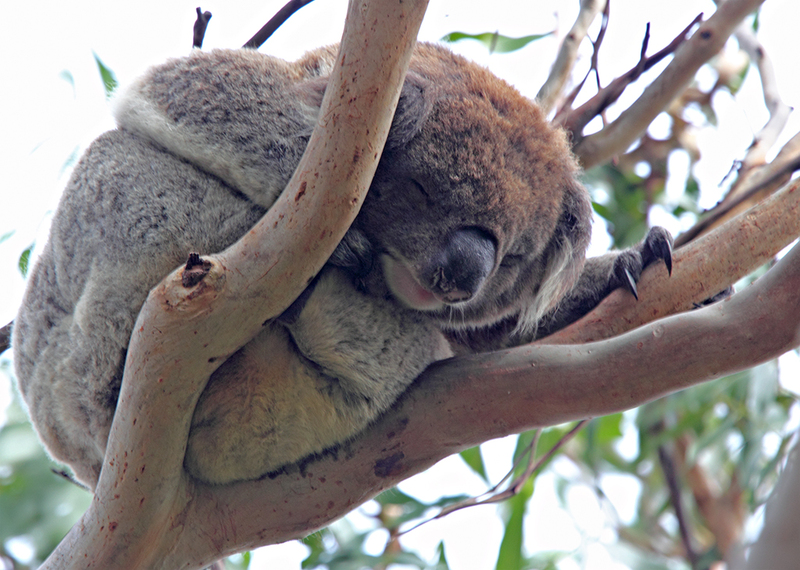 Heading to Cape Otway and lighthouse. Maits rest, a very beautiful spot, only up the road from where we are staying, we called in and did the circuit walk without our cameras to see what it is like, very nice, we will be back. Weather permitting. 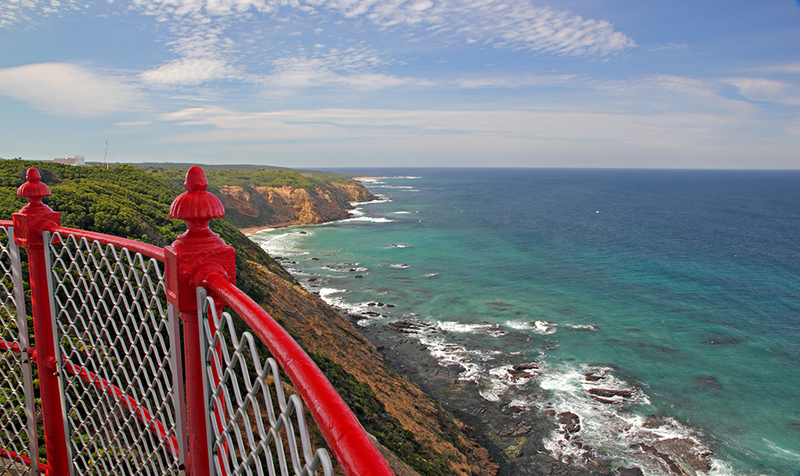 Carried on to the Cape Otway, real nice view, getting overcast. Did all the sight seeing bits, a lot of history here. Very majestic as you walk up the hill. 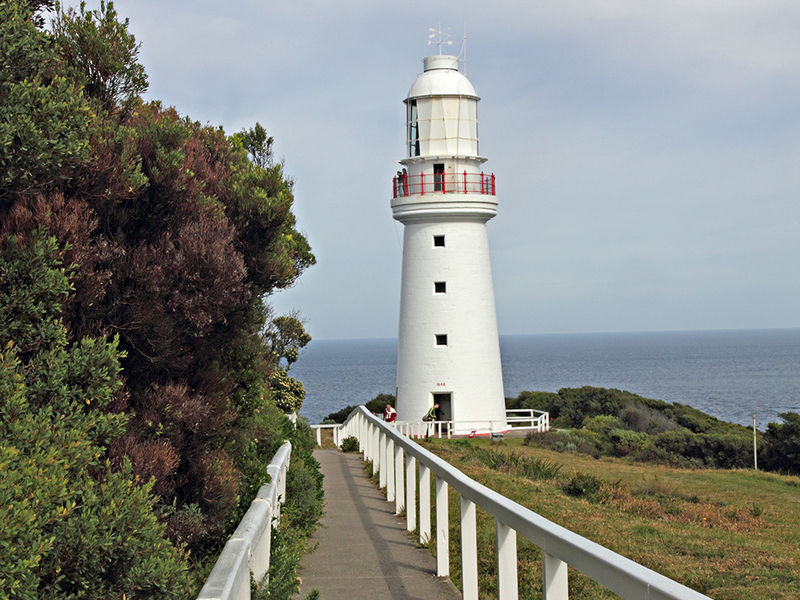 Otway Lighthouse, Victoria. 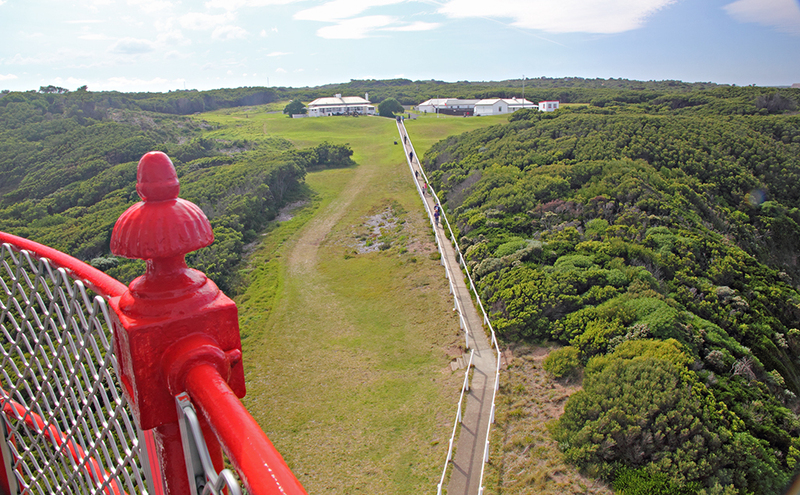 We climbed up and this is the view from the lighthouse. Beach side. This is the view looking back towards the settlement. Had a real good sleep and woke nice and early so got up and then saw it was only 4.30 am so actually went back to bed for couple of hours, bed very hard. Up now 7.30 am just took our time and had breakfast, packed our lunch, Thermos and headed off at 10.30 am for Forrest, there are some water falls up there. 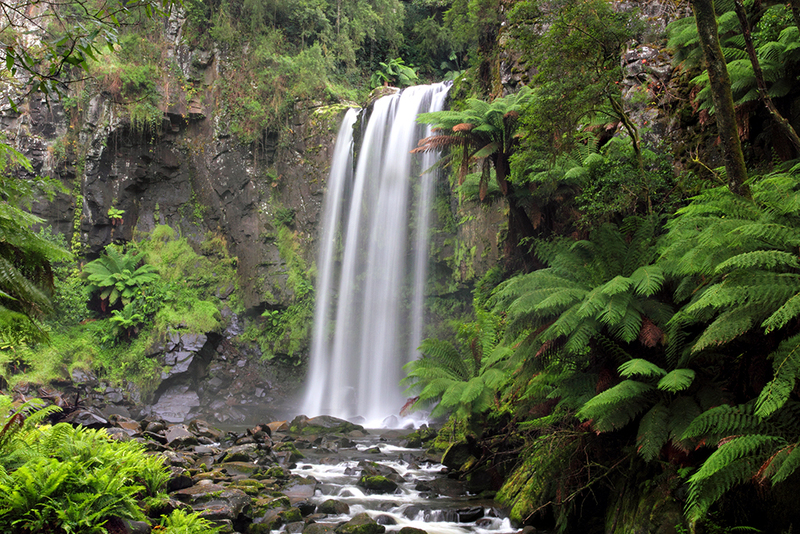 Stevenson Falls is a pretty waterfall nestled deep in the Colac Otway Region near the town of Barramunga. What a lovely drive up to this spot, the walk was easy and Fungi along the way, so many different types, the sun has been out today so that’s a real bonus. We were going to go to Sabine Falls but it was 3.30 pm and we as it was a 5 hour walk down to the falls gave it a miss today, so headed back to Apollo Bay, getting pretty cold now. We had tea and made extra so the leftovers would be our lunch for tomorrow.